A combined de-icing sensor and dish heating system for direct control of big satellite antenna dishes. The design of the system is based on the design for small and medium antennas and is enhanced to cover the required high power demand for the high number of heater panels for big satellite antenna dishes. 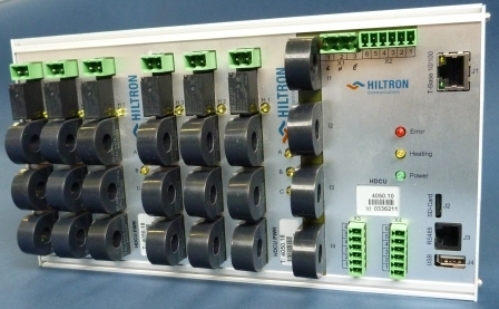 The Hiltron Deicing Control Unit HDCU-E is a combined de-icing sensor and heating system controller built up for (in- and) outdoor application. The system is an enhanced design of a standard Hiltron De-Icing Control Unit HDCU for the control for small and medium satellite antenna. It is designed for big satellite antenna de-icing systems with electric power consumption of up to 450 kW. 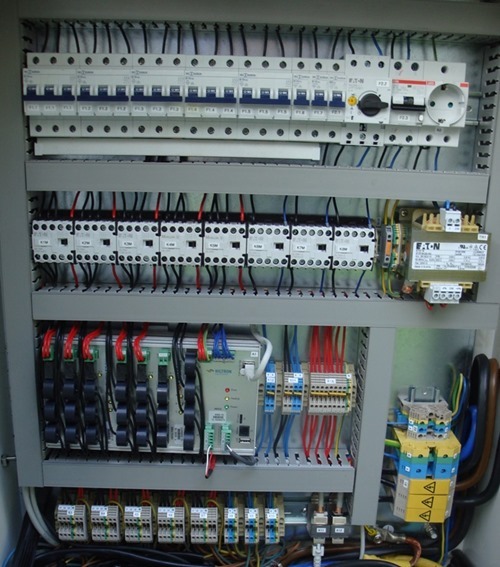 The Control Unit consists of several heating groups. Each heating group consists of three independently controlled heater arrays. 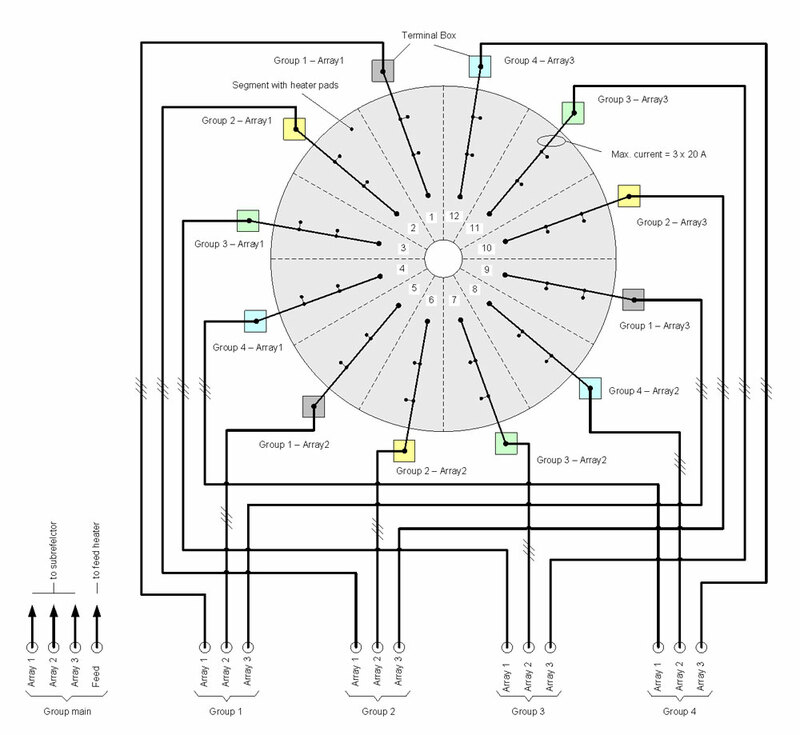 One array is dedicated to the heating supply for one antenna dish segment. Each array supplies three antenna heater circuits. Several heater pads can – if necessary - be grouped to one heating circuit. The permitted current for each heater circuits is max. 20 A. All currents are measured and monitored and evaluated by the control unit. Furthermore the function of each array is controlled by a thermo switch on safety reasons. Any malfunction - too high / too low heater pad current and too high panel temperature - will be detected and indicated by the control unit. The tolerance are of each measured current (heater circuit) is supervised by a settable max. and min. threshold. Thus, the current for each heater circuit is controlled individually. This allows excluding non-connected or broken heater pads via the controlling process. In case of a short in an heater circuit the whole array have to be excluded from the controlling process. 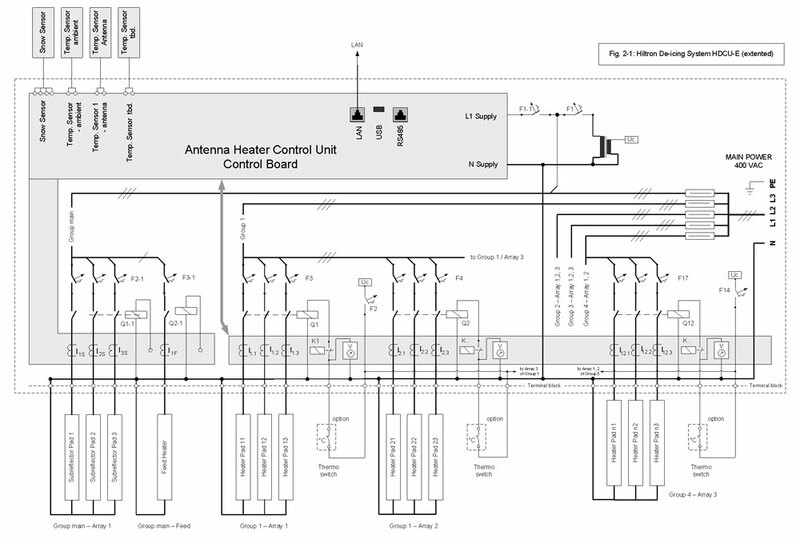 The control concept is modular and therefore the number of groups can be tailored to the respective requirements (size of the antenna, number of heater pads, required power for heating etc.). 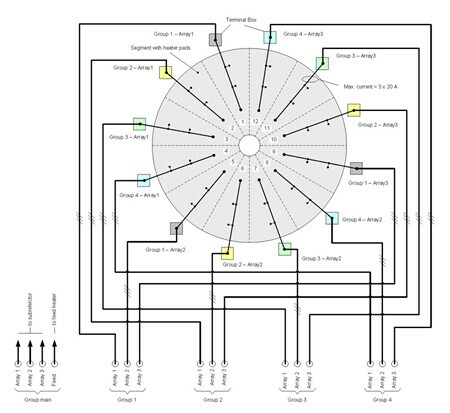 As an example, for an antenna with 12 dish segments a design with 4 heating groups with 3 array each is recommended. The heating group “main group” is dedicated for heating of the sub-reflector (with three heating circuits), the feed heater control (with on heating circuit) and further applications (tbd). In order to prevent high transient currents when the heating process of the antenna is activated the switch-on of the heater arrays is delayed in a timing sequence. (see Fig. 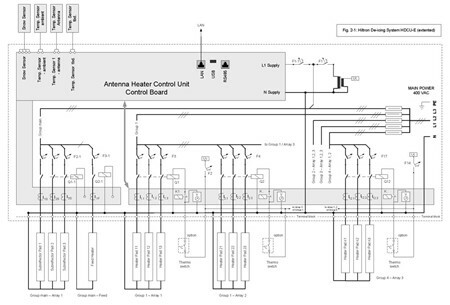 : Flow Chart) The switch-on and switch-off sequence of the arrays (heater pads) can be configured and is indicated in the Web-interface. All measured temperatures and currents of each heating circuits as mentioned before are monitored. All status messages on the heating circuits and the de-icing process are visible in the Web-interface. This allows a comfortable monitoring and control of the whole system. All parameters and status messages can be controlled via SNMP too. A LAN interface (connector RJ45) to enable the monitoring and control via Web and/or SNMP. A RS485 interface (connector RJ11) for future remote control via a remote hand terminal. The Hiltron Antenna Deicing Control Unit can be operated manual control mode as well. In manual operation mode the heater function can be switches on or off. The detected currents and temperatures, however, are monitored and available via Web-interface and SNMP. Supply 3-phase operation with 400 VAC.